At 7700 feet above sea level, perched high on a rugged summit overlooking the Town of Golden, Columbia Valley, Rocky, Purcell & Selkirk Mountains, sits the Eagle's Eye. 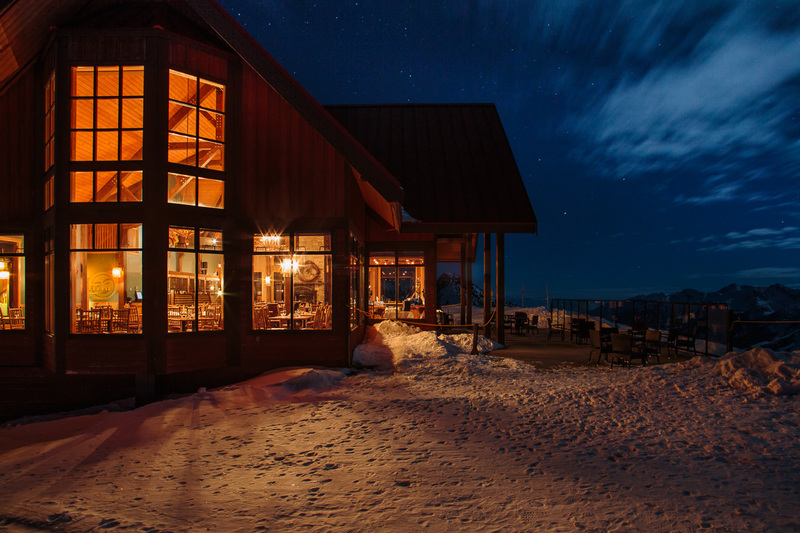 Nestled within the timber, rock and glass structure are the Eagle's Eye Suites. Tastefully appointed with a Rocky Mountain flare, these exclusive suites offer a sanctuary of luxury and solitude. CHECK IN TIME: 3:00pm MST Please check in at the Guest Services Front Desk located in the lobby of the Day Lodge upon arrival at Kicking Horse Mountain Resort. A valid credit card is required at the time of reservation. Accepted credit cards include Visa, MasterCard and American Express. If you need to cancel your booking, you must notify an agent at Resorts of the Canadian Rockies immediately. CANCELLATION CHARGES ARE AS FOLLOWS: 45 days or more prior to departure: $15 + GST per adult on file, and insurance premium. 31 to 44 days prior to departure: Full deposit including insurance premium. Within 31 days of departure: Full amount paid is non refundable and non transferable. RCR is a booking agent only and therefore is not responsible for lost, stolen or damaged property while using any of these products and services. For reservations made more than 45 days prior to departure, a deposit of 30% of land arrangements, and 100% of airfare and applicable travel insurance premium is required at time of booking. Balance owing is due 45 days prior to departure. For reservations made 45 days or less prior to travel date, full payment including travel insurance premium is due at time of booking. CREDIT CARD PAYMENTS: Your use of a credit card number to apply deposit and/or final payment indicates your compliance with these Terms and Conditions, whether or not you have actually signed the appropriate draft. Verbal authorization for the use of a credit card confirms the reservation. AIR: Air rates are not guaranteed until flights have been confirmed and paid in full; once issued, airline tickets are non-refundable. owing is due 45 days prior to departure. For reservations made 45 days or less prior to travel date, full payment including travel insurance premium is due at time of booking. CREDIT CARD PAYMENTS: Your use of a credit card number to apply deposit and/or final payment indicates your compliance with these Terms and Conditions, whether or not you have actually signed the appropriate draft. Verbal authorization for the use of a credit card confirms the reservation. AIR: Air rates are not guaranteed until flights have been confirmed and paid in full; once issued, airline tickets are non-refundable.